Received at 700Y Flight, Yeovilton. This was the RN Intensive Flight Trials Unit (IFTU) responsible for service trials before the aircraft was released for general squadron use. Damage to starboard engine noticed before flight at Yeovilton. To 892 Squadron Yeovilton. Coded 210. (Some sources state 01JUL59). While spreading wings on Ark Royal the starboard aileron was damaged when it contacted the nose of a Scimitar. Issued to 766 Sqn, Yeovilton. Coded 713. Delivered to Abbotsinch AHU under call-sign 726. 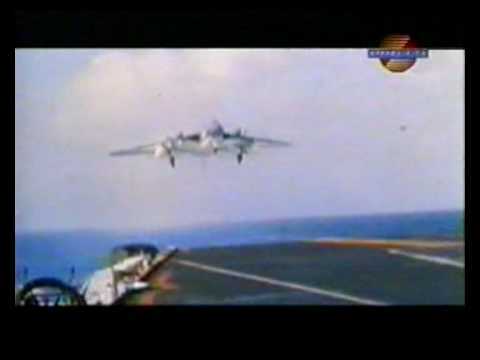 Wheel brakes caught fire landing on HMS Hermes. Damage to centre section. To 766 Sqn Yeovilton. Coded 726/VL. To NASU Brawdy by this date. Delivered to Hawker Siddeley at Chester. 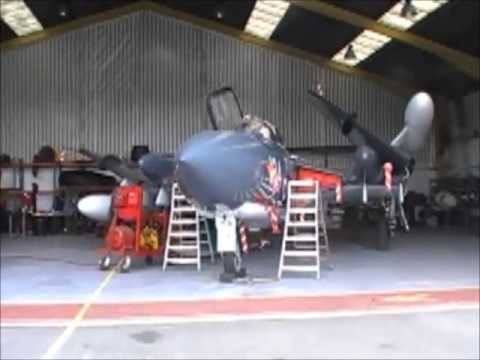 To 893 Sqn Brawdy coded 245 replacing XJ524. No 899 Sqn in HMS Eagle deployed to the Far East and Australia on its last trip. Two Sea Vixens were offloaded at Simbang Dockyard. 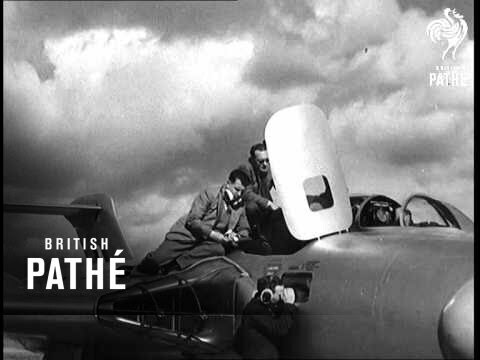 Aircraft "121" had crashed into the barrier after undercarriage problems and "126" had a cracked boom. Two replacement Sea Vixens (XJ490 & XJ579) were shipped out from HMS Daedalus (Lee-on-Solent, UK) as deck cargo on the SS Glenfalloch by the Mobile Aircraft Repair Transport and Salvage Unit (MARTSU). Both aircraft were towed from the dock to Tengah for re-erection and test flying. While XJ579 was successfully flown out to Eagle, XJ490 was found to be too badly corroded and was stripped of useful parts at Tengah and "scrapped". XJ490 had been loaded on the foredeck of the Glenfalloch while XJ579 had been loaded aft of the superstructure. XJ490 was to take up the call sign "126" and the following crew names but these were not painted on the aeroplane when it arrived in Singapore. Donated to Aeronautical Engineering Department of Singapore Polytechnic. Noted on display on Sentosa Island, Singapore in 899 Sqn colours but with no codes or canopy. QAM resolved to purchase Meteor WA880, Hunter XF311 and Sea Vixen XJ490 from the Aik Hong Hardware Company of Singapore. Removed from Sentosa by QAM on barge "Tai Chen"
Arrived Brisbane from Townsville on M.V. "Sid McGrath"
Trucked to Caloundra and cosmetically restored in 899 Sqn markings with bogus code "490"
A cockpit canopy was donated by British Aerospace and freighted to Brisbane courtesy of Qantas. Examination revealed that last digit of code appears to be a "3". Added a reference to a cockpit canopy being donated by British Aerospace in FEB90. Added a colour image of the aircraft refuelling another Sea Vixen at an air show in 1967. Thanks to David Smith in the UK. This replaces a similar black and white image. Added the date that QAM resolved to purchase the aircraft (17JAN89). Updated details of arrival in Singapore thanks to Paul Eitzen.